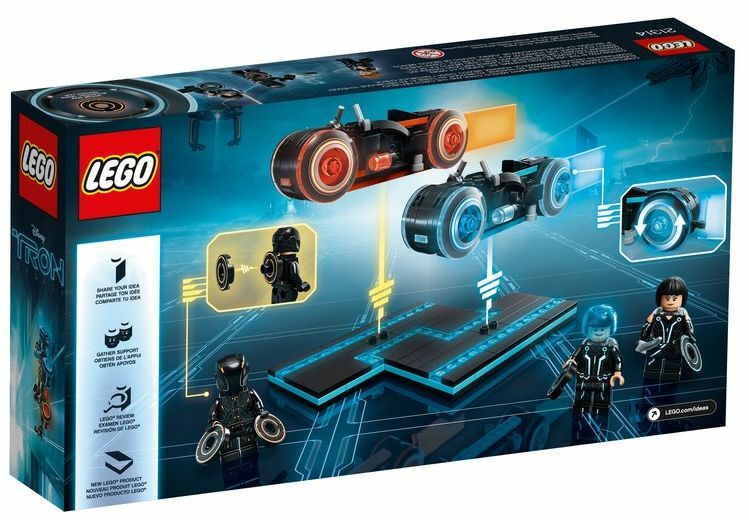 The new Lego Ideas set, Tron: Legacy was finally revealed by Lego. 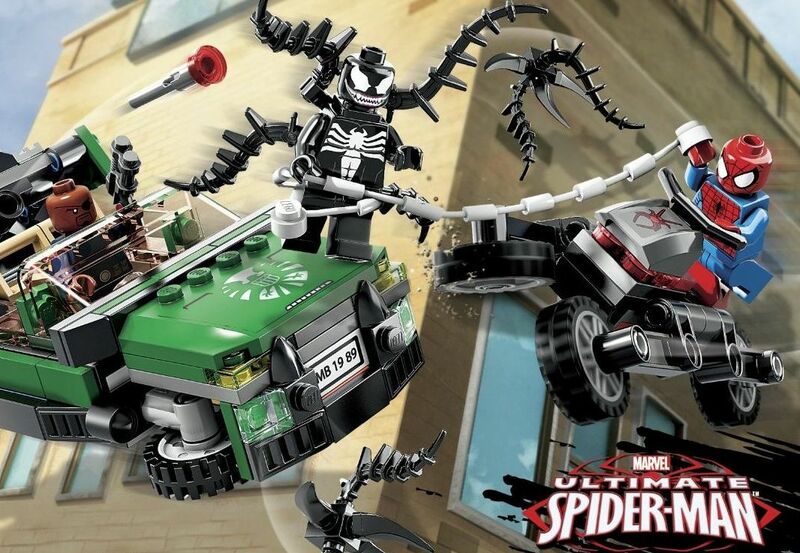 The new set has exactly two hundred and thirty pieces and features two light cycles – a sort of high speed bikes, a grid base to recreate some movie scenes and three mini-figures (Sam Flynn, Quorra and Rinzler) with the usual assorted accessories. The Light cycles look absolutely futuristic and the only difference between them is the color. 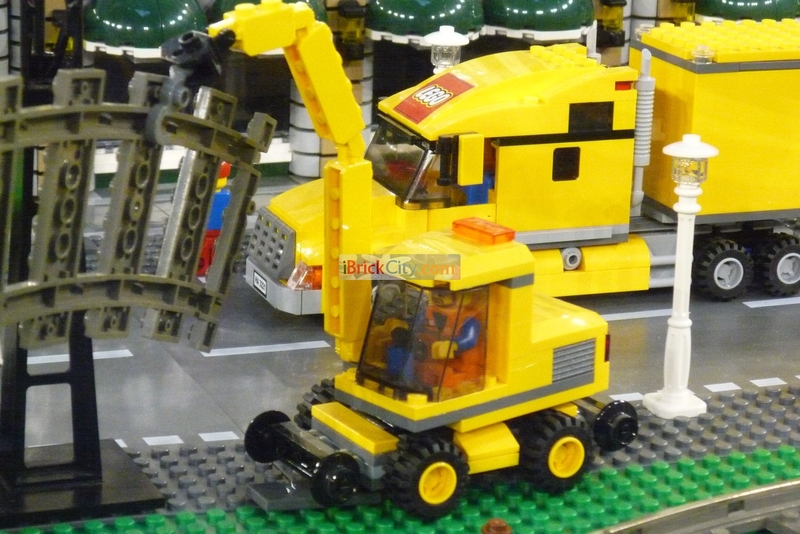 Both have extra large wheels and a nice and sturdy base, the piloting position is just perfect and at the back there’s a clip that holds a beautiful and unusual light, or according to Lego a power stream effect. The Mini-figures look absolutely stunning and together can also recreate a movie scene , the disk battle. 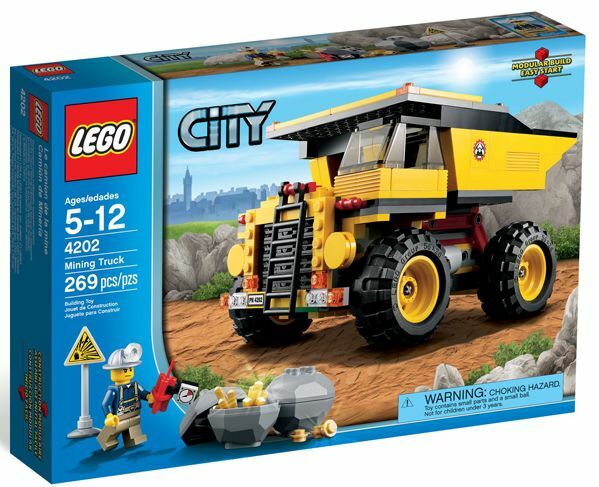 The set should be available on retail in a few weeks with a price around the thirty five dollars (a bit overpriced, isn’t it?). Have a look at the official press release and pictures! 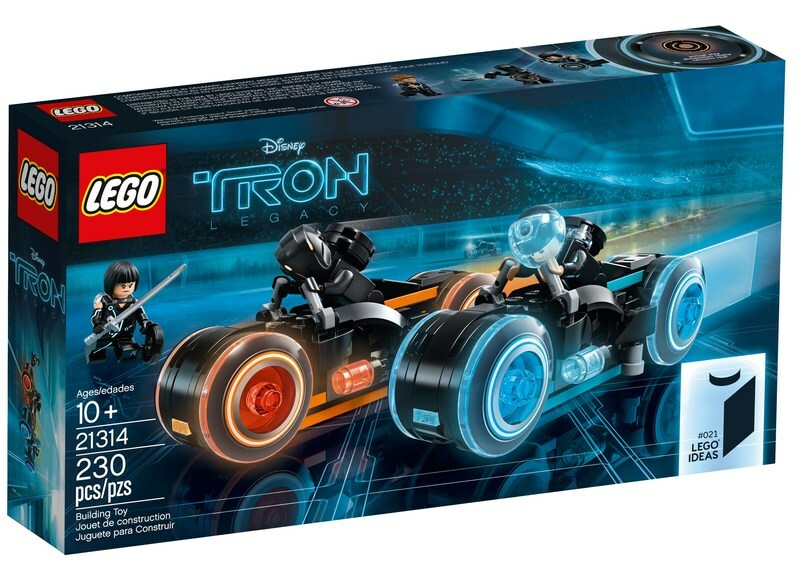 Build Disney’s TRON: Legacy with this LEGO® Ideas set, featuring 2 Light Cycles, 3 minifigures and a TRON grid/display base to recreate the movie chase scene and Identity Disc battle. Divide the grid to recreate the Light Cyclechase scene from Disney’s TRON: Legacy movie, or use it to role-play the disc battle scene with the minifigures. Accessory elements include Sam Flynn and Quorra’s blue Identity Discs, and Rinzler’s 2 orange Identity Discs. 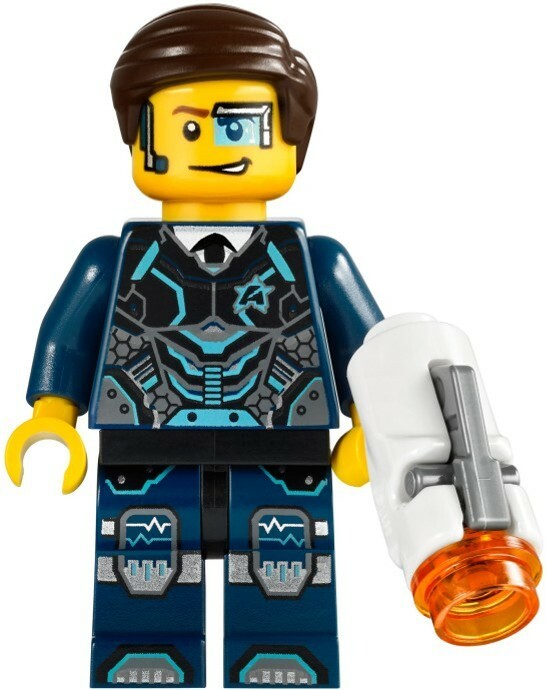 Attached to the back of each minifigure. Each Light Cycle measures over 1? (5cm) high, 6” (17cm) long and 1” (4cm) wide. TRON grid/display base measures over 8” (22cm) wide and 3” (9cm) deep. 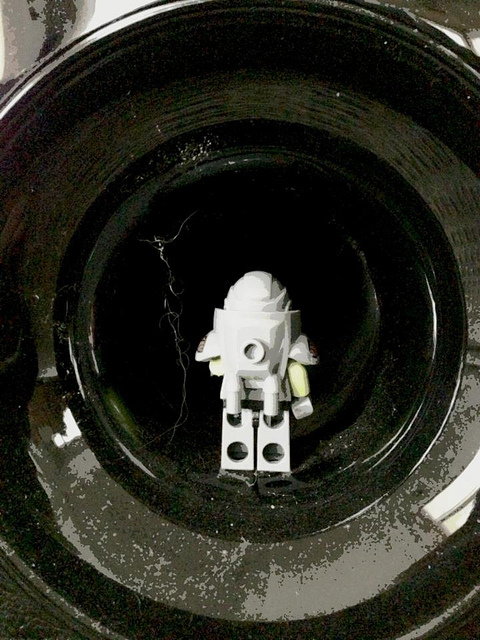 This entry was posted in Ideas and tagged 21314 by pedrolpais. Bookmark the permalink.